Laser tattoo removals are relatively recent inventions, but they’re already about to be a thing of the past. Taking its place is the revolutionary new RAP tattoo removal system that uses rapid acoustic pulses to break up ink within the skin. 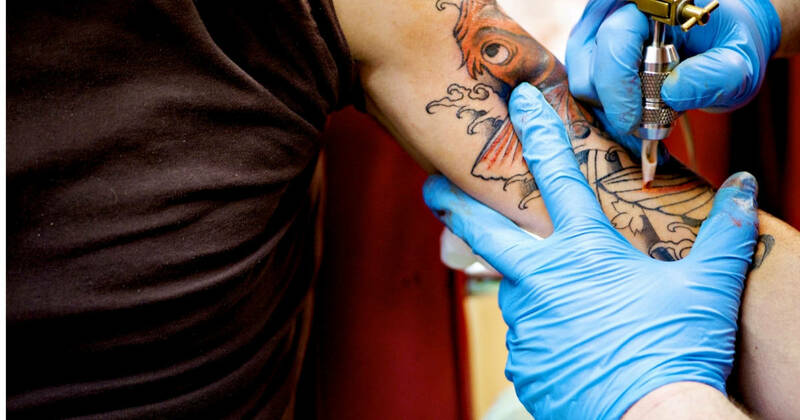 Basically, tattoo ink is disturbed through sound waves, creating a less invasive, faster method for tattoo removal. This new technology is best known as the RAP system, or Rapid Acoustic Pulse. The device itself looks like a small wand, which is much less intimidating than the large laser machine currently used for removals. Plus, this new system allows for treatments to take place closer together; Sometimes just a few days apart. With laser treatment, patients are required to take a certain window of “downtime” to let the damage from the actual laser itself heal properly. Soliton is the leading company in RAP tattoo removal technology. With their impressive machine, multiple passes can be made over the same areas of the tattoo without causing skin damage. In laser removal, only one or two passes maximum are achievable each visit, which makes the full removal time up to 10 visits. Soliton’s machine can remove ink in just 2-3 sessions. Traditional lasers are also notorious for not being able to fully reach the ink layers deep within the skin. As the laser comes in contact with the skin, a high amount of heat is formed. This causes the skin to form its own instinctive protective layer, which acts as a barrier for the remaining ink below. Patients are then left with a faded tattoo, not an ink-free area. 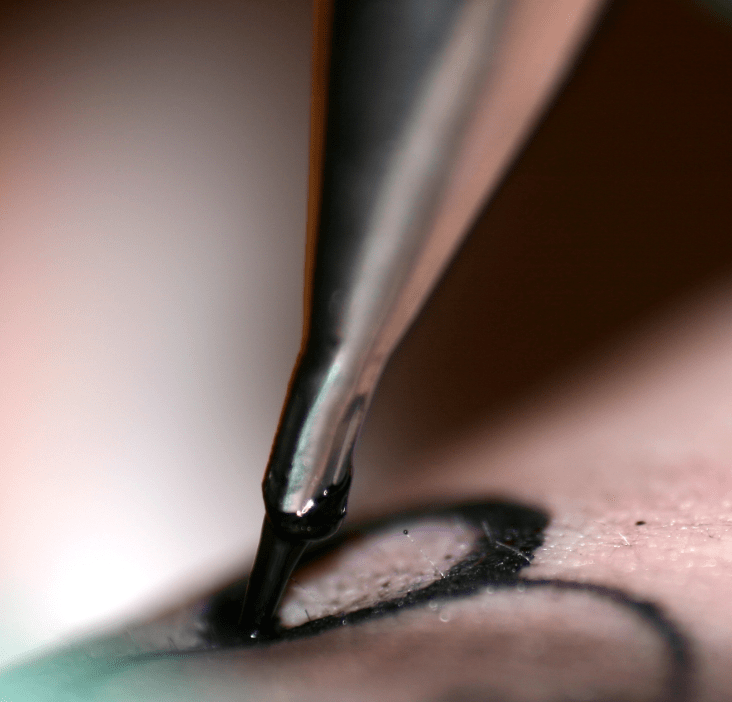 RAP tattoo removal tech could pave the way for more efficient edits and faster healing times. In a RAP tattoo removal, acoustic pulses are applied directly to the skin to break up tattoo ink. 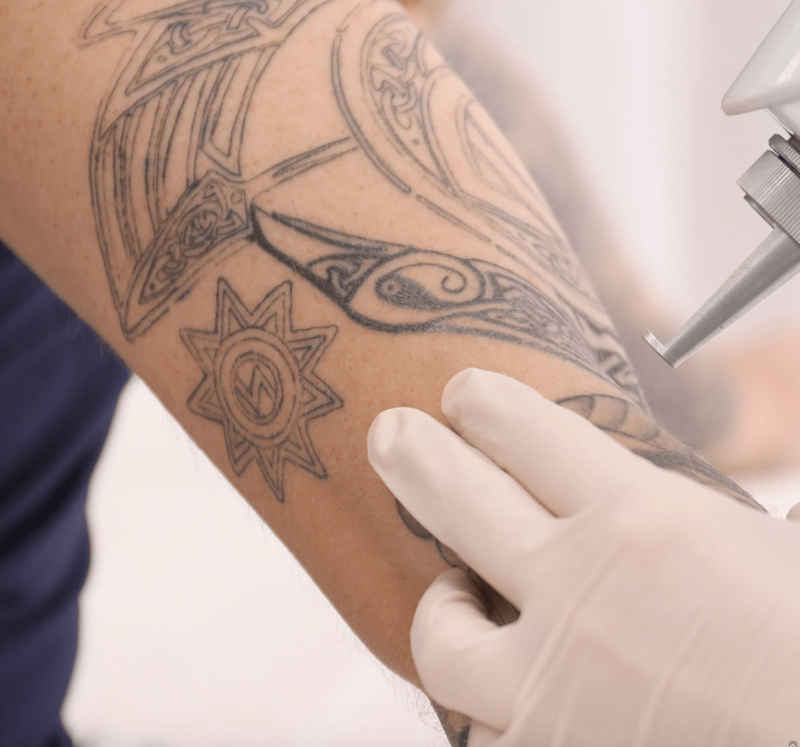 The process is minimally invasive, but patients will have to undergo a brief laser session first, so that the sacs of ink can begin to be broken up. After that, the sound waves can remove the steam-filled sacs caused by the laser, along with any remaining particles of ink. As of right now, the RAP system only works to eliminate tattoos with black ink. However, with improvements and experimentation over time, we can expect to see its success on colored ink as well. Soliton has also commented that this technology will most likely be able to be applied to cellulite on patients.The sound waves have the capability to induce new collagen growth, which could eliminate the look of cellulite. This year has produced some major advancements in tattoo technology. From their ink types to removal, tattoos are definitely in the science spotlight, and the results are astonishing. Tattoos have been around for over 5,000 years. Different cultures used them for aesthetic purposes, identification, or as a way to mark class. As the years have gone by, people’s opinions of tattoos are controversial. But what if tattoos were able to alert you of health concerns? What if your tattoo ink could react with your body to keep you healthy? 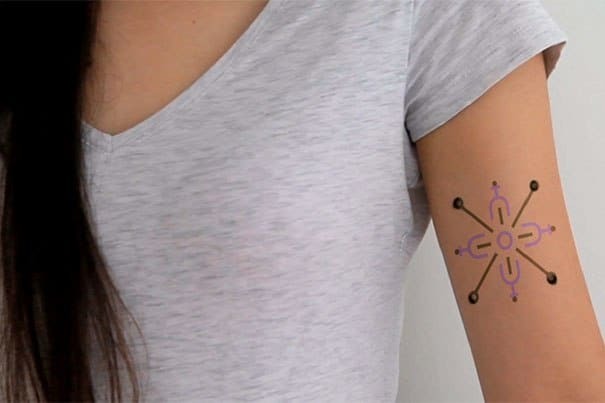 Introducing: Smart tattoos. These tattoos are made with ink that is specially designed to change color with different biomarkers within the body. When tattooed on the skin, you can visually see the changing color of ink with rising levels of blood sugar or sodium. Researchers at Harvard and MIT are looking into this new tattoo technology with their medicinal potential in mind. Right now, the ink has only been tested on samples of pig skin, but the results are promising enough to possibly implement them on human patients in the future. Smart tattoos could bring about a new wave of function and fashion. The inspiration for biosensitive tattoo ink came from the age of wearables. Diabetic patients often have insulin pumps, but running out of battery life and the risk of the pump not synching with the body are real concerns. As a result, researchers wanted to look into the possibility of a reliable, chemistry-based alternative; Biosensors within the body. Each type of ink is specific to a certain biomarker. For example, one of the inks will turn from green to brown as the body’s glucose concentration rises. Once some of the hiccups are worked out in the design, researchers will be able to offer short-term tattoos for hospital stays, and long-term ones for chronic diseases, according to The Harvard Gazette. The potential for biosensitive ink is virtually limitless. This tattoo ink could someday be used on medical patients, athletes, and even astronauts to alert them instantly of bodily changes. Researchers are also looking into offering invisible ink that is only visible under a specific light, for those who would rather not have a tattoo. This also caters to the potential dispute over how ethical medical tattoos would be. After all, not everyone wants other people to see their private information displayed on their body. Biosensitive ink could provide data on vitals, allowing you to literally wear your heart on a sleeve. 2018 was certainly an interesting year in technology and medical advancements. We saw algae for human skin growth, lab-grown meat, and the invention of a 10-minute cancer screening. As technology improves and new advancements in healthcare are revealed, we can definitely be more optimistic about the years to come. It’s these types of forward-thinking innovations that can greatly improve the health of not only ourselves, but of the environment. It will be incredible to witness the type of news we will be looking at in 5, 10, 15 years from now. Are Self-Driving Cars Still in Uber’s Future? Genetically Modified Plants: Should You Get One?